There are few things I like better than a delicious champagne cocktail. 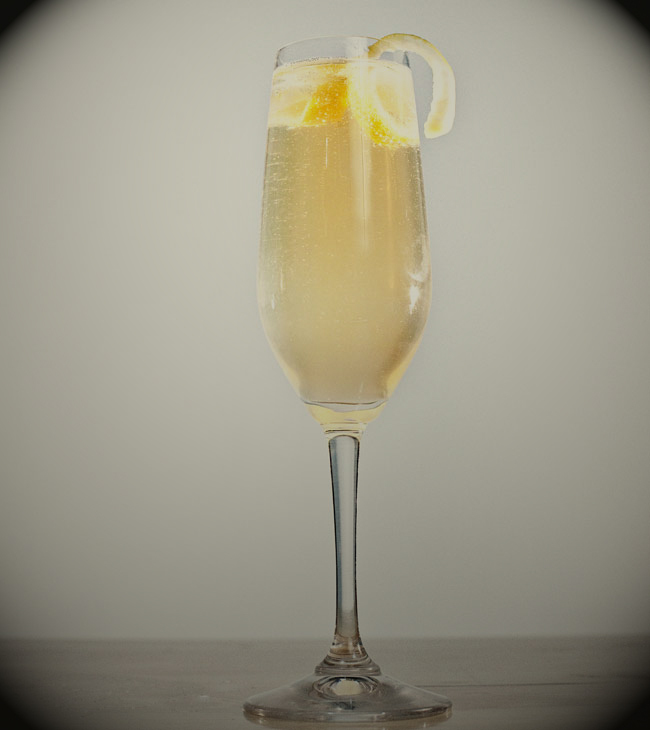 I recently discovered the French 75, a potent little gem invented by a French WWI pilot who wanted to add an extra kick to his champagne. Soon it caught on with legendary drinkers F. Scott Fitzgerald and Ernest Hemingway, so you know when a Kir Royale just won't cut it, this is the classy drinkers' obvious choice. Sounds yummy. I don't even know what alcohol tastes like anymore lol. I haven't had it in like 2 and a half years. I might just have to make one when I get home from work! um yeah i saw a recipe for this cocktail in a magazine years ago and thought it sounded fabulous. so i made a WHOLE PITCHER. enter waking up at 3am with signs all over my body and photographic evidence of the drink's potency. hooray french 75.